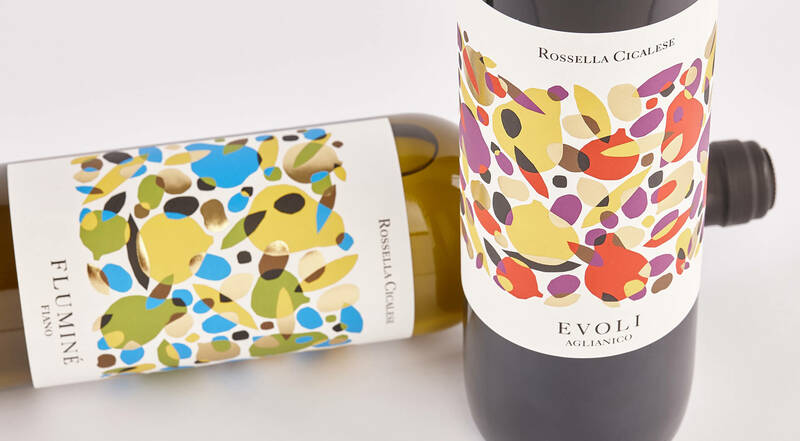 The Rossella Cicalese farm still picks grapes from the vineyards owned by Eboli and Perdifumo, in the province of Salerno. 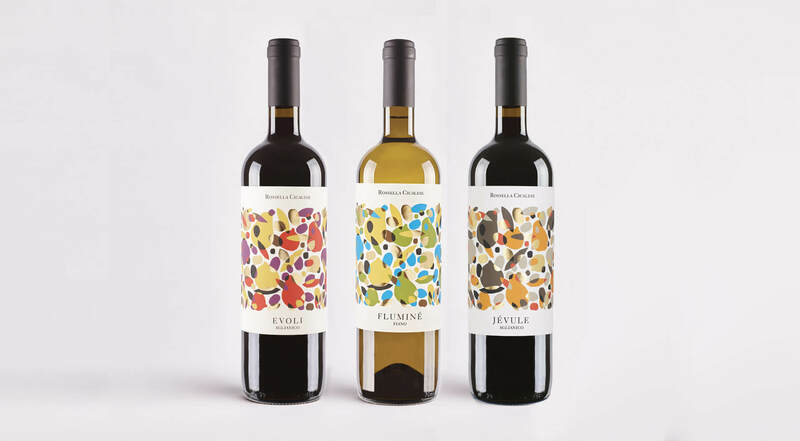 From those grapes produces Fluminé, Evoli and Jévule: one Fiano dop Cilento the first, one Aglianico Igp Campania the second and an Aglianico Igp reserve the third. Names that evoke the origins of an area where the sun and the sea are the protagonists throughout the year. We have designed the labels of this line of wines with fruity hints, with nuances of spices and balsamic notes and we have called it "Wines, fruits and cities". The labels are the graphic representation of the aromas and flavours of the wine itself. 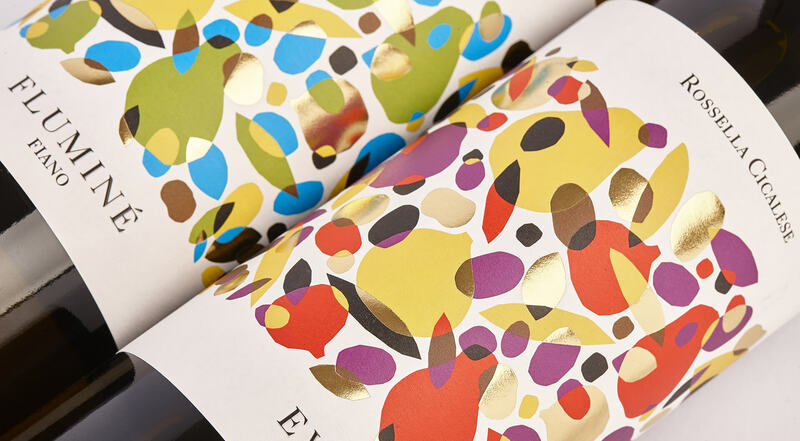 We have represented them with illustrations made of fruit, leaves and elements printed in gold that cross each other to create a texture that envelops the entire label. For the paper we chose Tintoretto Gesso Ultra WS, self-adhesive and resistant to moisture, to avoid wrinkling and slow down the opacification caused by the natural absorption of water from the label. 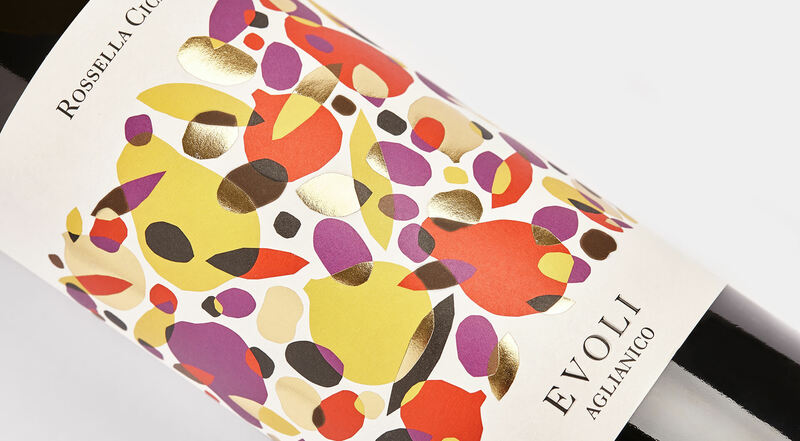 The end result is a very impressive label, with a strong and elegant visual movement at the same time. Of course we put a little too much colour, but that's okay.